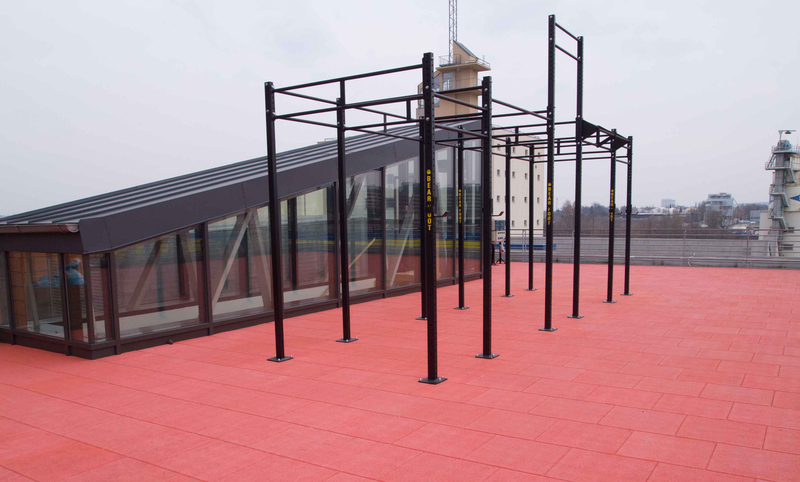 As the name suggest, the training is performed in the open air – in a park, on a terrace, in playgrounds, street – everywhere, where parallel and horizontal bars exist. In addition to strength, street workout also develops stamina, flexibility and complete physical fitness. 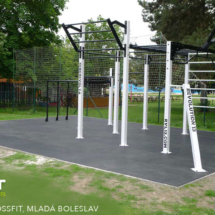 As a base of workout playgrounds we choose a concrete slab which is covered with the CONIFIT CROSS rubber surface, and then equip with a STEET WORKOUT structure with bars. 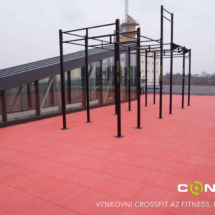 Thanks to our CONIFIT CROSS rubber surface you, do not have to exercise in mud and pads. The rubber surface has a great anti-skid characteristics even under wet condition.